These cookies are fabulous for two reasons. First one is that it is my Grandma Bennett’s recipe. I had a nostalgic flash from out of nowhere the other day when cleaning out my pantry. I found my mom’s old recipe box. You know, the one with 567 recipes for jello? They are Grandma Bennett’s Nut Cookies. Secondly, these will be great to make and store in freezer/fridge when my grandbabies come over. Once made and refrigerated you just slice and bake. A almost three year old doesn’t have that much patience you know. 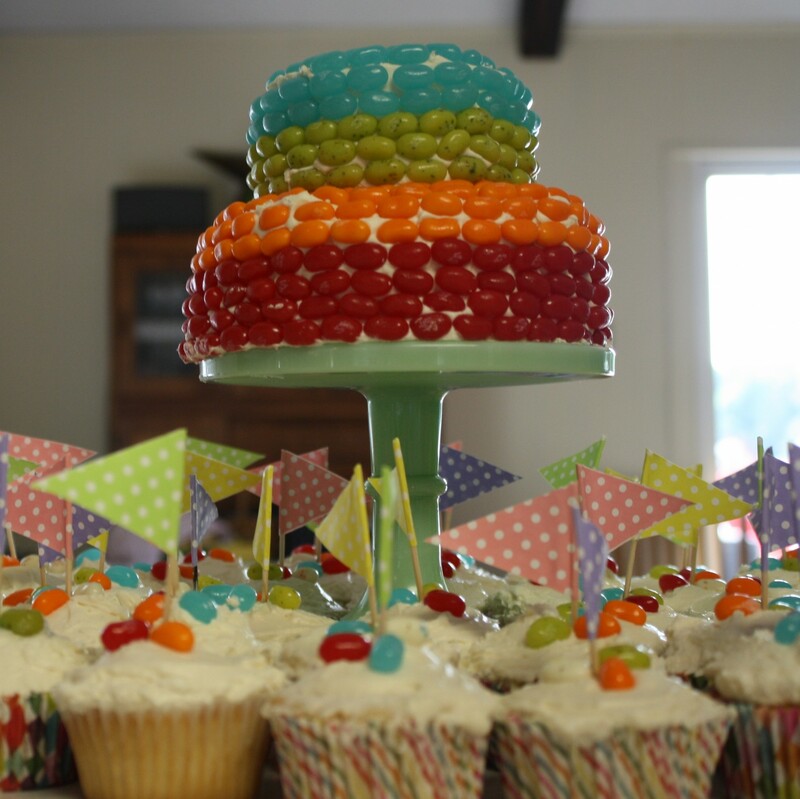 By the way, these are delicious and super dooper easy to make! Fifteen minutes to make, tops. In a large bowl, cream butter and sugars until light and fluffy. Add the eggs, one at time, beating well after each addition. Combine the dry ingredients: flour, baking powder, baking soda, cinnamon and salt in a bowl and using a whisk combine. 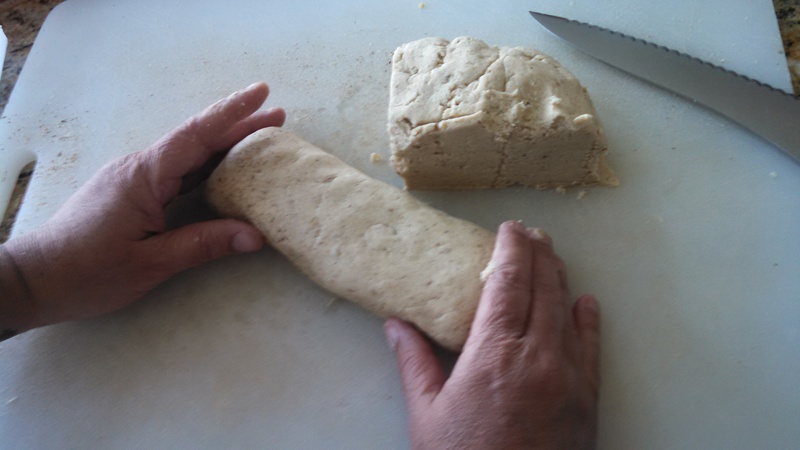 Divide the dough into four equal parts and shape into four 6-1/2-in. 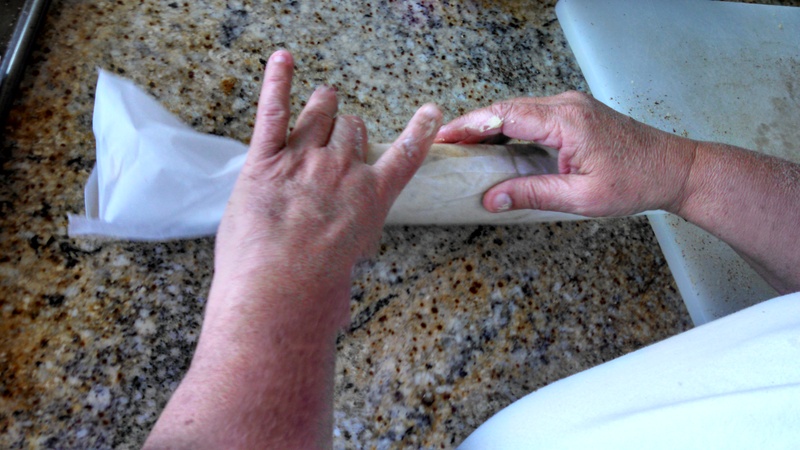 rolls; wrap each in wax paper and refrigerate overnight. When ready to bake . . .
Unwrap and cut into 1/8-in. slices. Place 1 in. apart on an ungreased baking sheets. Bake at 375° for 7-10 minutes or until lightly browned. Remove to wire racks to cool. Come on over to G’s house Etta and Abbott. Let’s bake some cookies! I was cleaning out my pantry after a wonderful visit from my daughter and granddaughter the other day. I was gathering all of the beautiful art work I had accumulated this last year from Etta trying to figure out how to store it. The thought of pitching it never even crossed my mind. I wanted to display it. Then the idea came to me, why not put it somewhere where I would see it every day–the garage wall! 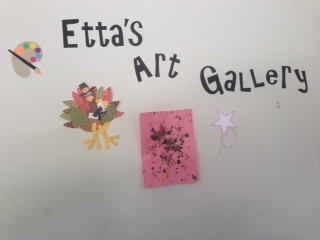 I cut out letters that spelled “Etta’s Art Gallery” and adhered them to the wall along with a cutout of a paint palette and paint brush. Ta da! Now when I leave for work in the morning and when I come home from work every day I am reminded of this precious gift of a granddaughter I have. Soon Abbott, my grandson will be sending me artwork too. Don’t you worry, I already have his name cut out! Come on Etta, get busy. G’s got some space left on the gallery wall.